The Redwall series, by Brian Jacques, was one of my favorite series when I was growing up. Although I don’t remember for sure, I think I was about 8 when I stumbled upon Mossflower by accident in the library one day. 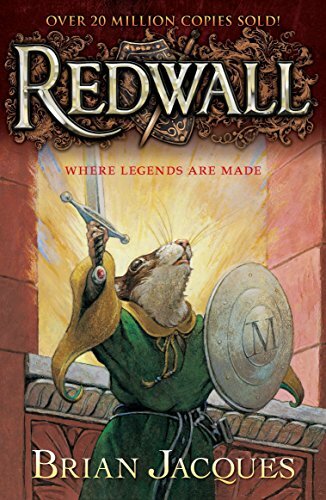 By the time I was a teen, my brother (also a fan) and I had accumulated a whole shelf full of sturdy hardcover Redwall books, many of them dogeared from re-reading. The series takes place mainly in and around Redwall Abbey, a sanctuary for woodland creatures such as mice, squirrels, moles, hares, and badgers. They clearly need such a sanctuary, because they’re constantly getting attacked by one foul band of evil-doers or another. 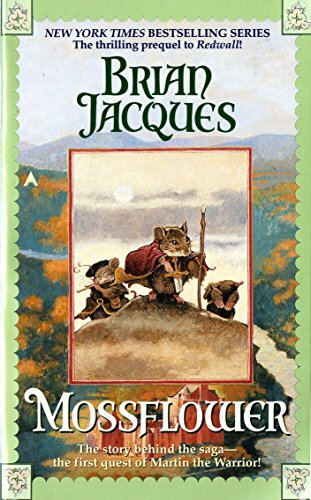 High adventure ensues, and I’m warning you now, Brian Jacques is a master of cliffhanger chapter endings, so these books are very hard to put down once you start! For this reason, despite their length, they’re a great choice for reluctant readers. Though I wasn’t a reluctant reader myself, I remember receiving the third book, Mattimeo, for Christmas the year I discovered the series and being extremely proud of myself because I finished the whole thing – nearly 500 pages – in a single marathon reading session on the living room couch, while the rest of the family celebrated Christmas around me. In addition to being great adventure stories, the series has a lot of humor, and I also credit it with developing my early appreciation for great food descriptions in literature. The descriptions of the feasts are scrumptious. As an adult, I appreciate the many positive role models it contains for both boys and girls. Eventually, the books started blurring together and becoming more repetitive, or maybe I just outgrew them, so I ultimately stopped reading in my late teens at book 11 (Marlfox), while the series eventually stretched to 23 books by the time of Jacques’s death in 2011. Despite this, I retain a big soft spot for Redwall Abbey and its furry inhabitants. They were some of the defining books of my childhood. The prequel to Redwall, and the book that first hooked me on the story. Martin the Warrior teams up with the woodland creatures to overthrow the cruel rule of the wildcat Tsarmina and found Redwall Abbey. A young mouse maid must save her father from pirates. 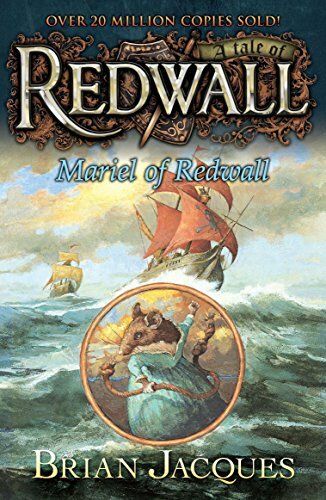 Mariel is one of the best of many great female characters in the Redwall series. This book focuses a lot on the badgers of Salamandastron and features another of my favorite Redwall heroines. More of Martin’s exciting backstory. I won’t lie, I cried like a baby over a certain scene. My favorite of the later books I read. The Redwall series was made into a television series starting in 1999, but I’ve never seen any episodes of the show.